Water damage can strike at any given time in any given way. It can be a silent threat: a leak that grows over time into a more serious problem, going unnoticed for years until the discoloration and warping finally demand your attention. Or, it can come rushing in, loud and unchained with lots of standing water, whether it be from natural disasters, flooding, or what have you. Either way, the results are always harmful, devastating, and detrimental to your home and the lifestyle of those within it. The initial shock and immediate stress of water damage can be hassle enough, let alone having to figure out how to clean it all up. 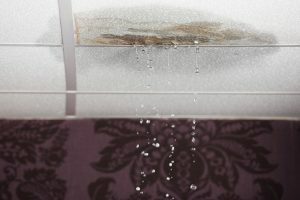 If left unchecked, water damage can pose serious threats to your home, including mold growth and damages to the structural integrity of the building. It is important to get your water damage handled as quickly and efficiently as possible, without cutting corners. In addition, Do-It-Yourself methods can be extremely dangerous. If you don’t know what you’re doing, you could bring serious harm upon yourself and those in your household. The best way to handle water damage cleanup is to call a professional restoration service that knows how to safely and properly attend to your needs. Here’s what you can expect upon your initial call. Most restoration services, like Restore Rite in Pocatello, offer 24/7 emergency response. This is incredibly convenient and means that if your basement starts flooding at three in the morning, you can expect a response just as fast as it would be at three in the afternoon. In as short as 48 hours, mold growth can already occur. Sooner than that, your walls, ceilings, and floors can be saturated enough that without professional help, the structural integrity of your home could be at risk. The professionals know it is important to act fast in cases of water damage, so they won’t keep you waiting and will show up as soon as possible. As soon as they arrive, the restoration service will assess the situation, and begin the process of extraction and drying. Extraction includes getting all the water out, including standing water and its contaminants. The professionals are fully equipped with state-of-the-art equipment to salvage as much of your possessions as possible and restore your home without much hassle at all on your end. After the extraction process is complete, they will begin the process of disinfection. Oftentimes, water damage can carry harmful contaminants and bacterias that can easily go unchecked if not properly handled, and wreak havoc on your home. The typical dry-out period can last anywhere between 1-5 days, depending on the severity of your damage. A restoration sticks by your side through the entire drying process and ensures that your home is ready to return to in the best shape it can be in. Overall, the whole water remediation process is painless, quick, and stress-free. If you have an emergency and live in the Pocatello area, you can call Restore Rite for 24/7 emergency care.